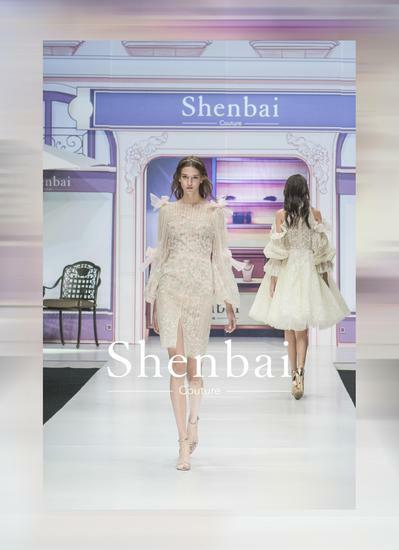 On 2nd November, Shenbai “Ballade Parisienne TIME NARRATION” themed show officially released on the current China International Fashion Week. 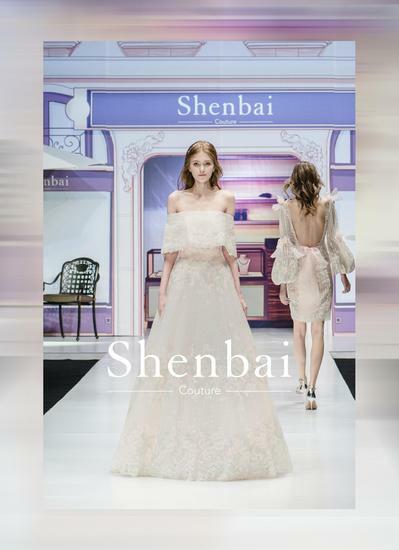 Many celebrities were invited to this show, including the well-known actor Li Zhang, famous model and host Ai Li, who respectively served as the opening and the finale guests on Shenbai’ s new collection of this season. At the same time, the brand manager of neverleftla, Anxiao Zuo, best-selling book writer Ayawawa, the host of "Pretty Woman" Siyu Li, microblogging fashion icon lulu,the famous host Cong Wang, well-known model Mingming Wang, Yang Du, actor Tingting Gan ,Xuan Si, Ao Shen, Jingyi Wu, Xingwen Jing, Ruoyi Feng etc. appeared on spot to see the show. These shining stars greatly impressed the Shenbai “Ballade Parisienne TIME NARRATION” themed show. Beautiful new pieces, creative design, elaborate description of the Paris street views are complimented and praised by the audiences. There is Eiffel Tower under the endless stream of people and flashing neon lights, as well as serene green lawn on both sides of the Champs Elysees, the ancient stone road and the corner of the cafe intertwined with history and aroma, sunset shines over every corner. Modern ladies are gracefully wandering on the streets, swaying gait has become an impressive scene in Paris …… As a grand finale show, Shenbai brings to the audiences not only the restoration and reproduction of the retro, it is more about the current designer’s accumulation and understanding of classic elements as well as rethink and new interpretation of fashion tides. 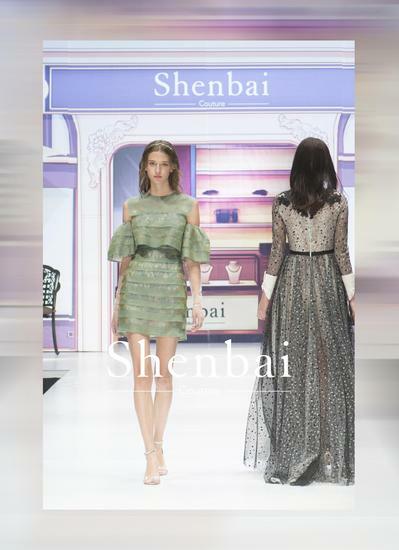 Shenbai’ s new collection of this season brings the audiences a story in dreamlike Paris—Ballade Parisienne TIME NARRATION. Inspired by 17th century Paris, the designer tries to use French art techniques to present the classic beauty of Paris, the “fashion capital”: reduced wrapped tailoring to highlight women's body charm and beautiful figure, used exaggerated leader design to show personality, unique gloves accessories revealed “mysterious”, faded complex hand-embroidery and reconstructed with Swarovski crystal shape to reflect the implicit “luxury”...... Shenbai’ s design refocus on the emotional needs of people which further expresses Shenbai advocates that women should be released from life trivia and supports that females should hold free and elegant life attitude. All new pieces on this show are calm, soothing and healing color-based. At the same time, using the Macaron colors to add "young", gentle and comfortable sense while not missing girl look. Especially the transparent material replaces the old-fashioned lace, velvet and leather gloves, highlighting various charms of the classics. As a classic decorative elements back in that time, bowknot is one of the design highlights. 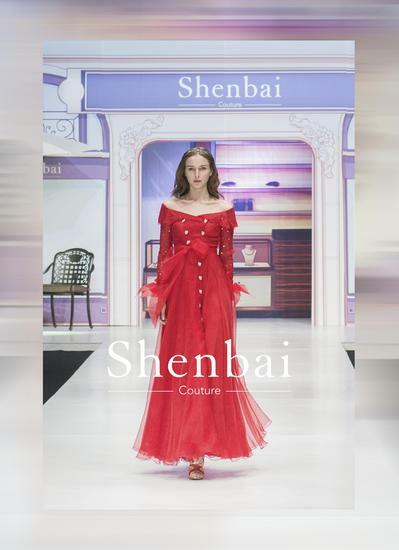 By different colors, shapes and fabrics, the bowknot shows different cute appearances; smooth tailoring, changing layers and rich content reproduced the luxury, exaggerated and stylish age while displayed the tides of fashion trend and the elegant passage of time. 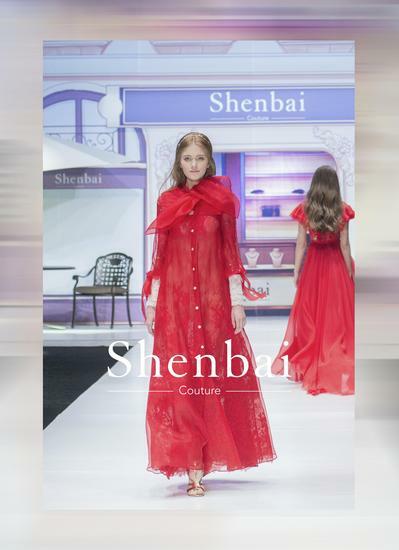 The designers of Shenbai have been breeding this new release for a long time, which is derived from the special complex and to salute to hundred-year accumulation of fashion classics. 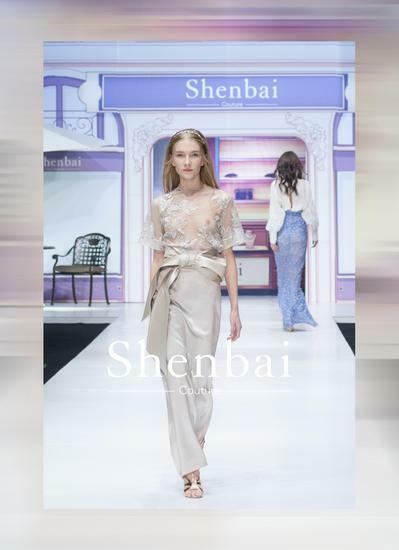 Different classic elements are showed on this stage, and as the final show of this year’s China International Fashion Week, the live brings waves of climax. From the overwhelmed new works, the audience visit Paris of the whole century and the unique charm of the classics. 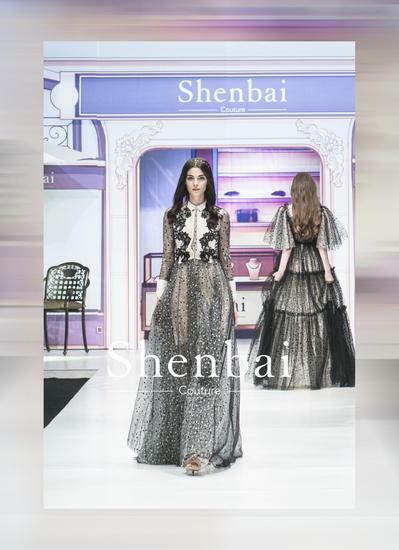 With its own strength, Shenbai once again proves the existence of constant and classic beauty and its inspiring profound connotation.